Upon stepping into Ecologic Dentistry in Bonney Lake, the first thing you notice is the scent—or rather, the lack of that dentist office smell. Absent is the antiseptic aroma of root canal chemicals or the sticky-sweet smell of flavored fluoride treatments. Instead, you might sniff calming lavender essential oil. Inside, patients relax in massage chairs and sip herbal tea while they wait for their appointment with sought-after dentist Carla Yamashiro, DDS (ecologicdentistry.com), who helps patients achieve and maintain oral health through a combination of homeopathic medicine and traditional dentistry. Yamashiro is one of a growing number of local dentists practicing “holistic dentistry”: dentistry that combines conventional dental training with integrative medicine. Most holistic dentists are chiefly concerned with avoiding mercury, a potentially neurotoxic metal used in fillings by half of modern dentists; 75 percent of adults have mercury fillings. Dental mercury is a significant environmental hazard, too. The dental industry produces more mercury waste than nearly any other U.S. industry, according to the Mercury Policy Project. Other local holistic practitioners include Dr. Rebecca Taylor of Green City Dental (greencitydental.com) in Edmonds and Dr. Mitch Marder of Integrative Dentistry in North Seattle (mitchmarderdds.com).Dentists who practice in this way take an all-encompassing approach to keeping your choppers in top shape. Think of a holistic dentist as a naturopathic doctor for your mouth. Because additional certifications aren’t required, and any dentist can call themselves “holistic,” exact numbers of practicing holistic dentists aren’t known. The University of Washington’s dental school doesn’t certify dentists as holistic; holistic dentists train and certify as dentists through conventional dental schools, and some, like Taylor and Yamashiro, seek out additional training and certification in holistic dentistry. Yamashiro received training in holistic dentistry from the American College of Integrative Medicine and Dentistry in New Jersey; Taylor is accredited through the Florida-based International Academy of Oral Medicine and Toxicology. But the UW curriculum, as a whole, is becoming more aligned with a holistic practice model, says Sara Gordon, DDS, associate dean of academic affairs at the UW School of Dentistry. Case in point: The UW dental school is in the midst of launching a new dentistry curriculum called “The Dentist of the Future.” A key component of the new curriculum is enabling students to take a more integrated whole-person approach to dentistry. “The thing I’m most proud of is that the students are learning to see the patients as more than a collection of teeth,” Gordon says. One practice that’s common among holistic dentists is the removal of amalgam fillings, which contain mercury. Those fillings are then replaced with BPA-free composite fillings, and the mercury fillings are safely disposed of. Holistic dentists usually avoid using any metal, because of its potential to spark reactions in some individuals. When an implant is needed to replace a missing tooth, a holistic dentist uses one made with zirconia, a glass-like material frequently used by dentists in Europe, instead of titanium. Small cavities and mouth sores might be treated with ozone, which is, essentially, activated oxygen that sterilizes diseased tissue and promotes healing. Holistic dentists also use alternatives to traditional anesthetics that contain the additive epinephrine, which constricts blood vessels, potentially impacting the flow of blood and nutrients that the body needs to heal. 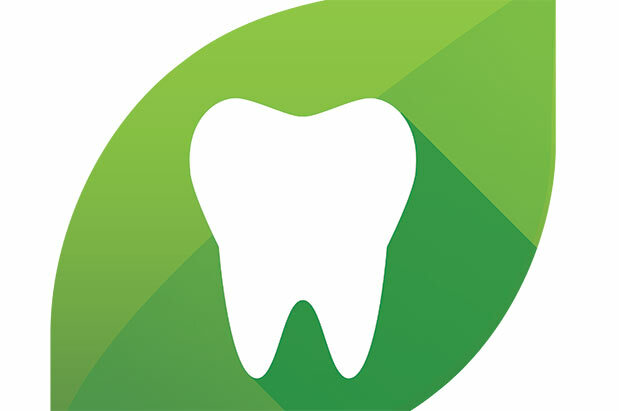 Green City Dental also offers biocompatibility testing, in which a blood test helps determine which filling materials will work best for your biological profile; individuals with sensitivities to certain chemicals or metals aren’t good candidates for some of the fillings on the market, says Taylor. A big part of holistic dentistry involves asking why tooth decay is there in the first place, says Taylor. She views scrapings from patients’ teeth under a microscope to help determine the factors behind the buildup of plaque, which is the substance that causes tooth decay and gum disease. Occasionally, she’ll find a parasite that causes decay; about half the time, the slide reveals spirochetes, spiral-shaped bacteria that are linked to chronic periodontitis. But he has taken steps to run a greener practice by going completely paperless, switching to digital X-rays and photography, and reducing single-use plastic covers and drapes to cut down on waste. The practice’s wastewater is triple-filtered to prevent mercury from entering the local water supply.Ultimately, broadening the options gives dental patients choices that may allow them to integrate their values and environmental concerns into their dental health and their choice of dentist.